Audrey Watters is a writer who focuses on education technology – the relationship between politics, pedagogy, business, culture, and ed-tech. She has worked in the education field for over 15 years: teaching, researching, organizing, and project-managing. Although she was two chapters into her dissertation (on a topic completely unrelated to ed-tech), she decided to abandon academia, and she now happily fulfills the one job recommended to her by a junior high aptitude test: freelance writer. Audrey has written for The Atlantic, Edutopia, MindShift, Inside Higher Ed, The School Library Journal, and The Huffington Post, in addition to her own blog Hack Education. 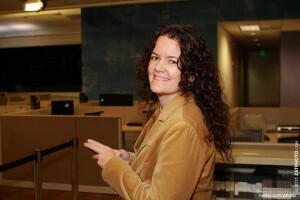 She is the editor and lead writer for Educating Modern Learners. She is also currently working on a book called Teaching Machines, due out in 2015.